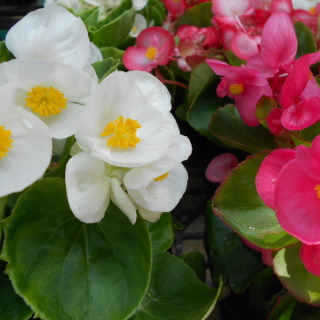 Begonia blooms glossy petals and leaves. The colors are white, red and etc. It blooms spring to autumn.